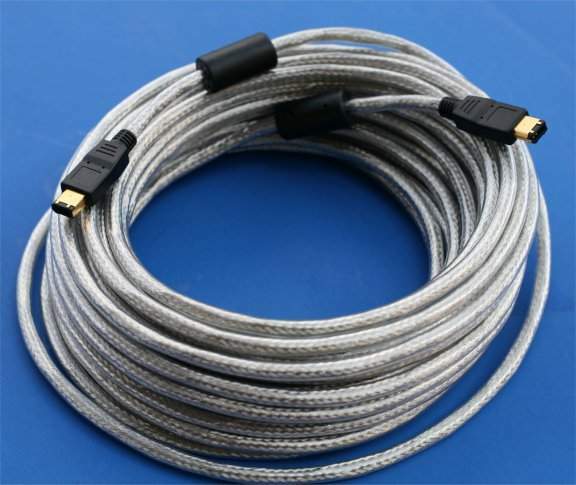 Premium Quality Silver Cable with Dual Ferrites. Outer shield and inner shield (foil and braid) ensure compliance with the latest IEEE 1394 standards, which reduces radio frequency and electromagnetic interference. Although 14.5 Ft is the Max Specified for Firewire we have designed these with a much heavier AWG Wire Allowing additional Distance to the Device. With some devices it does not function.